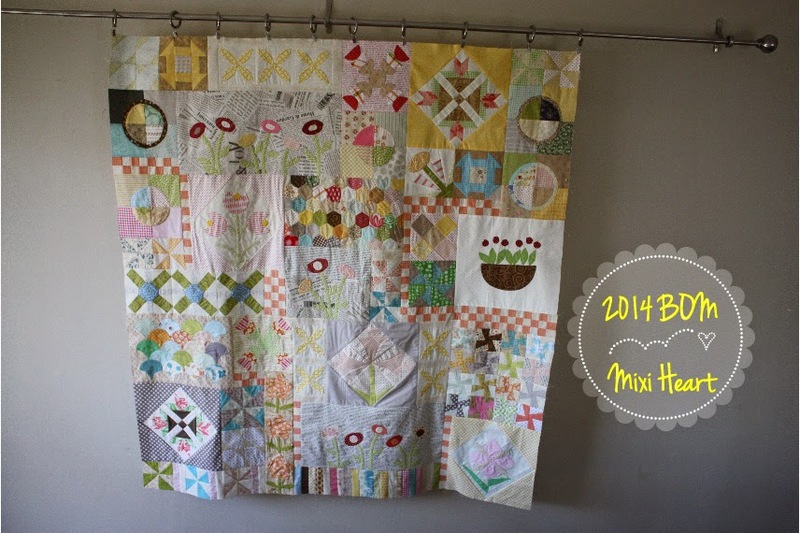 I feel like this quilt represents summer for me. There were a LOT of things going on. We had a super fun schedule. There was a lot of work sometimes too. Busy, busy, busy. And now it is coming to and end. The kids are soon back in school. We had such a good time together. I am going to miss having them here with me. But the good thing is that they will learn lots and I will hopefully get a lot of work complete. 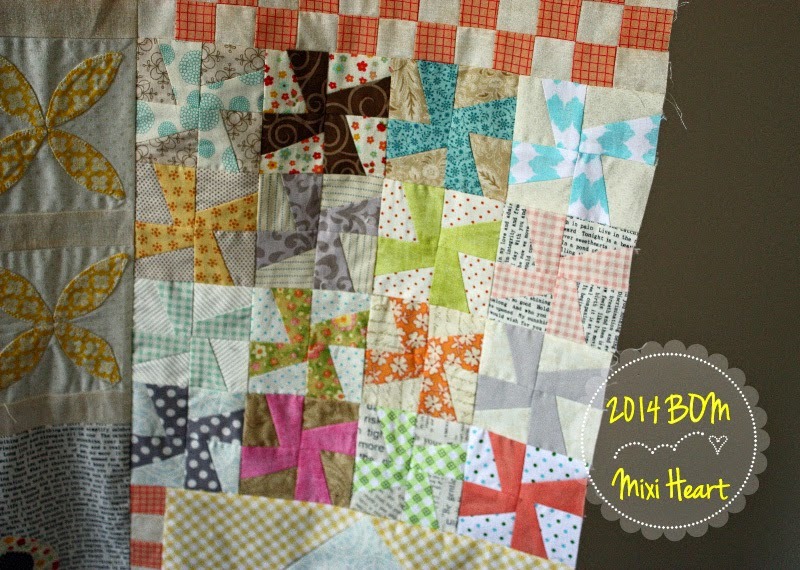 Here is the whole top quilt finished with borders! The borders used a vine and continued more of the circle flowers and leaves and a few berries. I turned all of my appliqué... which was a little daunting when I traced all the flowers and leaves for the borders. I had to take a big breath. I just made little goals that were manageable: trace all the appliqué, sew the tracings to fabric, turn all the appliqué, trim, sew vine on, pin the appliqué, sew one side a day, missed days, finish. This all went on over the last few weeks. SO MANY STEPS. But I finished it just in time for summers end. I needed to have little quilt holders because it is kinda big (see the one little hand and the one big hand, thank you helpers!). All my favorite blocks still stand out to me. I love ALL the flowers. They are so sweet. 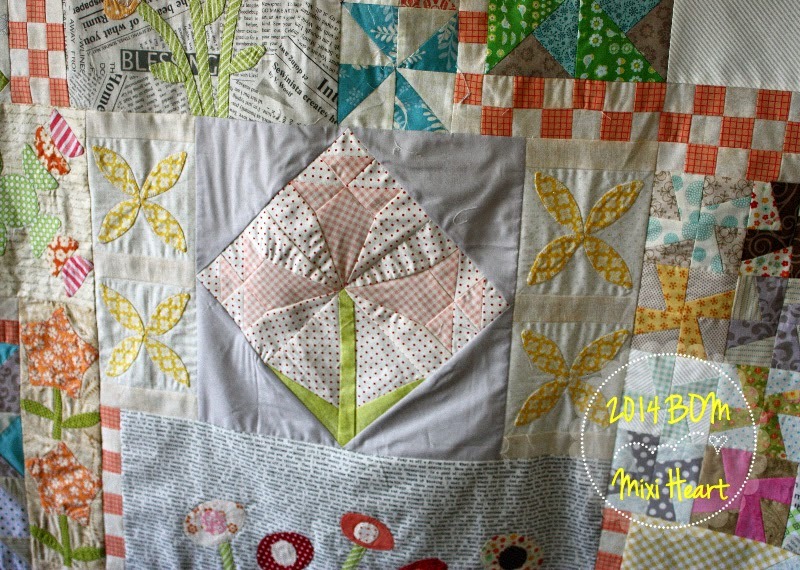 I think the vine around the edge of the quilt is a perfect finish. 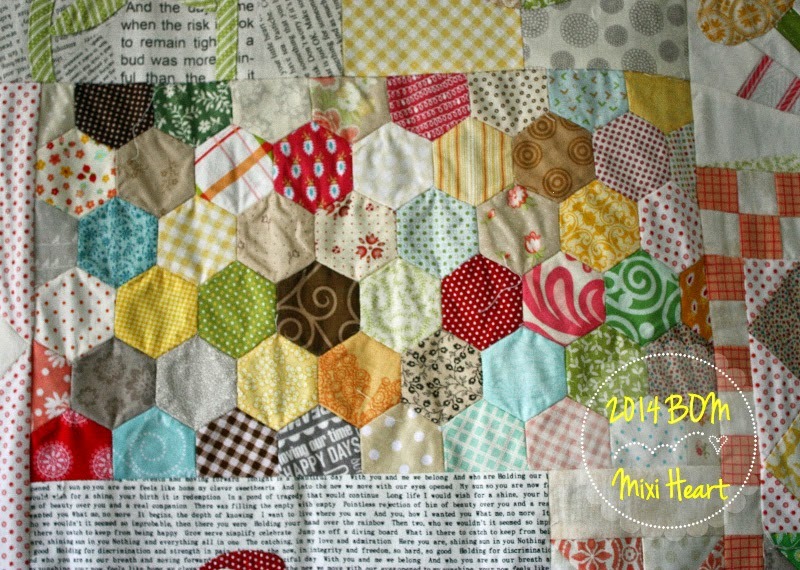 I did add a stop border to my quilt along with sweet Crystal. She mentioned it and I thought it was a fabulous idea. 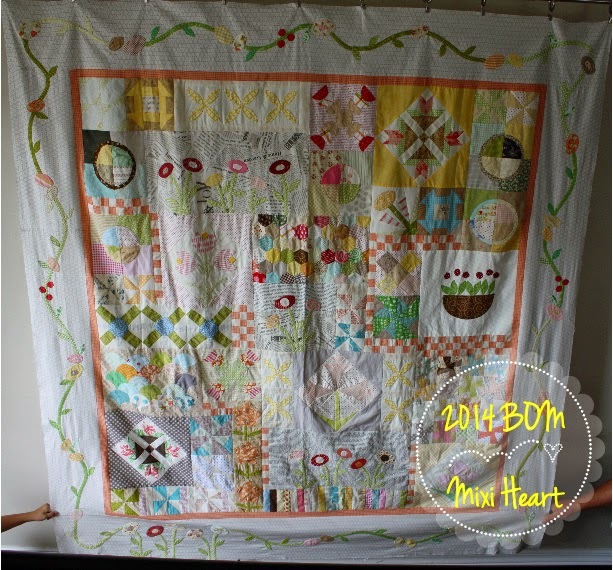 I think it really sets off both the inner quilt and the border. I didn't know how much I was going to like this quilt. It is my absolute favorite. I mean my ABSOLUTE favorite! 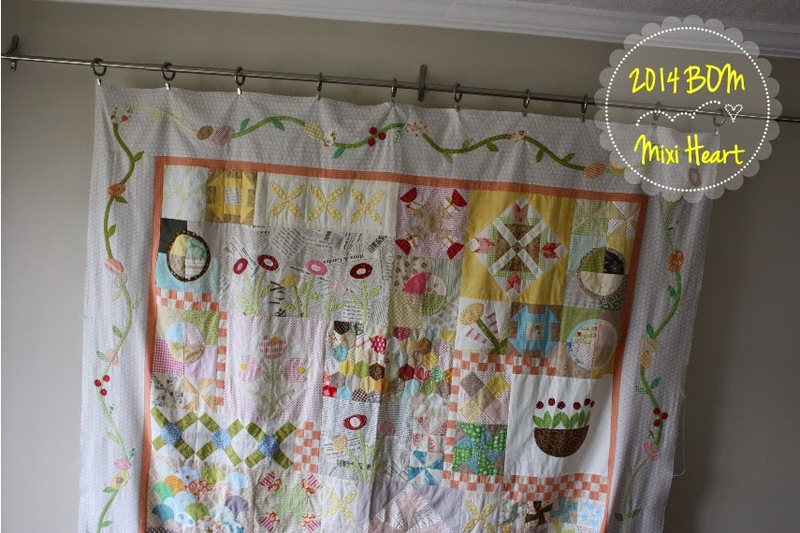 I am a little nervous to quilt this quilt because I want it to turn out perfect. I might try some new techniques too. Or not. ??? Quilting will have to wait until November because, I am starting to prepare for Quilt Market. I am going to be exhibiting again in Houston this fall. 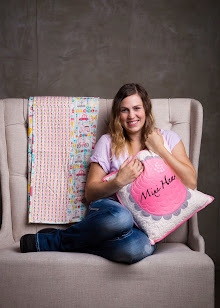 I've got four new patterns that I am so excited to share. As soon as I get them sewn together I will post pics. They are just in individual block form at the moment. 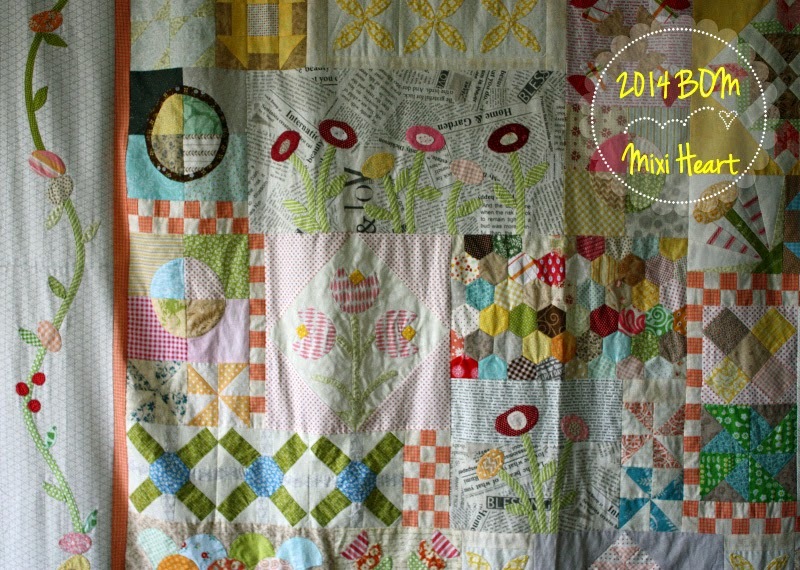 Starting Sept I will begin the Quilt Market Countdown again ;) and sharing all the preparation. Yay! The quilt is beautiful! I hear ya- it is pretty sad that summer is ending but it's a lot easier to get things done when there is school and schedules! Amazing job and beautiful color! You have been busy! Absolutely gorgeous!! Thank you for sending me the link to your amazing finish :). 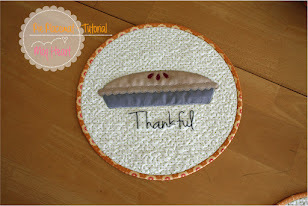 I am impressed that you did needle turn too and that additional border sets it off perfectly. Love it!